Gordon's thoughtful tribute to the inshore fisheries of the British Isles, Australia and the Americas, offers different perspectives on the rugged lifestyle of the independent fishing industry. From the ever-charming 'Herring Croon' to 'One More Morning', Gordon's oratorio on a night of purse-seining, each song is given that special Bok treatment of caring and masterful musicianship. A special treat on this album is the music of talented songwriter Mary Garvey of the great Northwest, including the too-true humor of "Cannery Shed." Also featured are the fabulous harmonies of The January Men And Then Some, the lovely harp music of Carol Rohl and the mellifluous voices of the glorious Quasimodal Chorus. 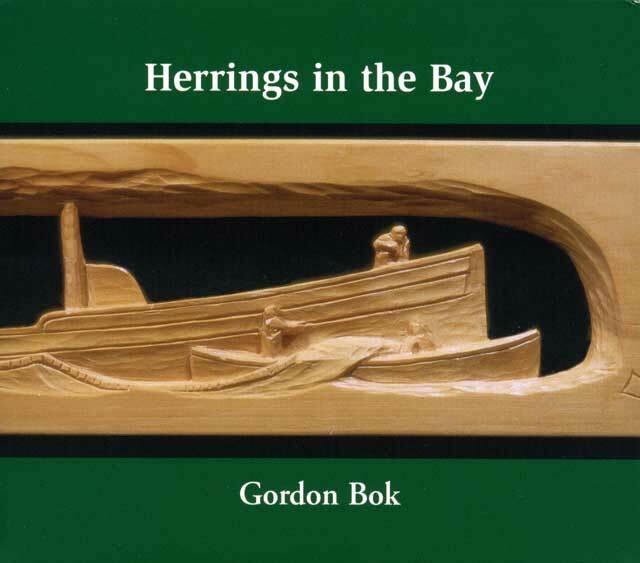 Our new soft packaging presents a visual feast as well, with color photos and images of Gordon's nautical woodcarvings. Lyrics are included with the CD, and available on request with the cassette. Sorry this item is now out of print.